The Panda Cup which was held on 10/26-31, setting as a test event for BFA U12 Championship. 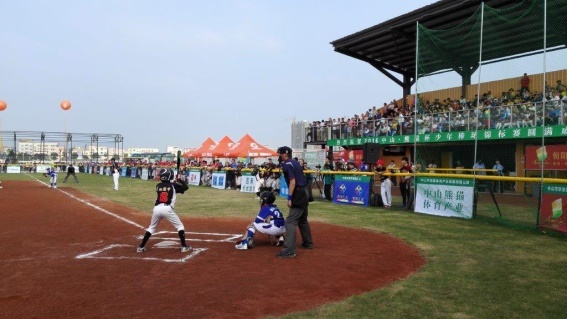 Zhongsha, China Taichung, Taiwan, has been revealed by Baseball Federation of Asia in Taipei. 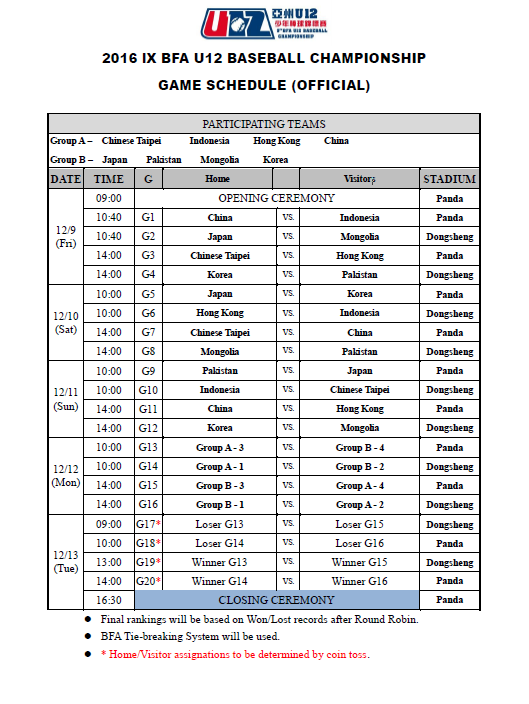 9 teams from Japan, Korea, Chinese Taipei, China, Pakistan, Hong Kong, Indonesia and Mongolia have been selected to play in the Championship from December 9-13, 2016. Please click here to obtain General Information.